Black t-shirt design on the front. Shirt has a round cut bottom. 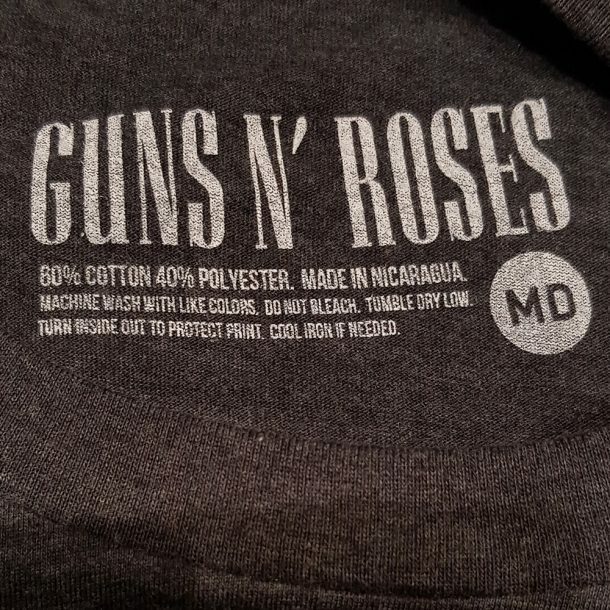 Printed on a licensed Guns N Roses shirt. 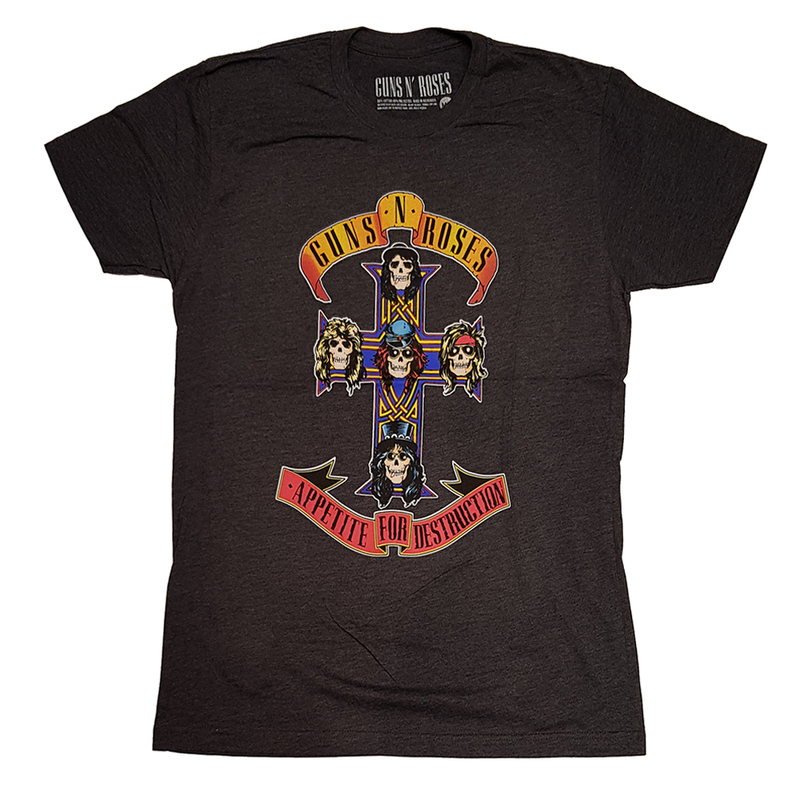 This is a 100% official, original, licensed, authentic t-shirt. We do not sell bootlegs, copies or reprints.